Manda Texas, Texas Hill Country Ghost Town. First settlers to Manda arrived in the second half of the 1880s, J. Victor Morell gave the community a boost when he built a steam cotton gin and moved his blacksmith shop from nearby New Sweden. A Methodist Church was organized in 1892, followed closely by the building of small chapel by the Lutheran Church of New Sweden. In 1893 a general store / post office was opened. When the application for a post office was submitted, it was the diminutive "Manda" (short for Amanda), the sister of the store owner. 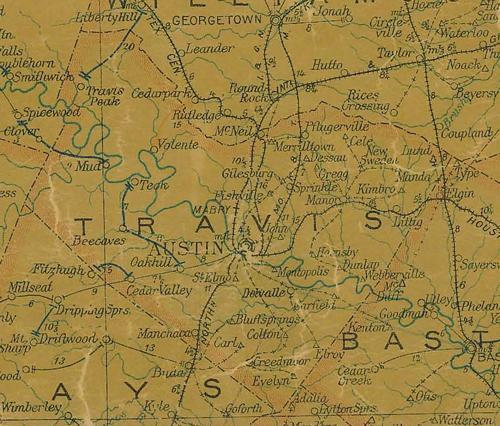 Manda, Decker and New Sweden received telephone connections in 1899 and the town became a switch on the Texas and New Orleans Railroad. The population was a mere 40 people in 1900. In 1909 the Methodists built a frame church, complete with steeple and stained-glass windows. Despite the church, school and businesses, the population dropped to only 20 during the Great Depression. Church services were discontinued in the 1960s and the community's large church bell was given to Elgin's First Methodist Church while the cornerstone ended up in the Manda cemetery. Manda students attended other area schools. 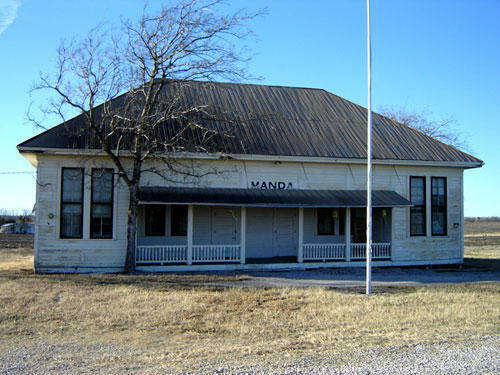 In 1947 during the statewide school consolidations, the Manda ISD was formed, lasting until 1963. 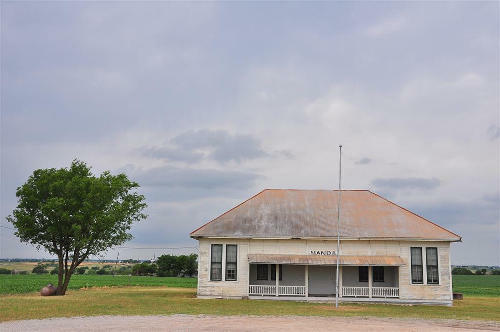 Manda's population was given as 20 in the 60s but today all that is left is the school building pictured here and the Manda Cemetery. � ... As my name suggests I have some German background. My dad came to the US with his family in 1956 from Hamburg, Germany. The first town in America they lived in was New Sweden. They attended the New Sweden Lutheran Church, which we visited again a few years ago. This is where my dad and his family got used to living in America. My grandparents are buried at the Kimbro Cemetery, my grandmother died in 1965 and my grandfather in 1983.